Growing up with three older sisters, he learnt at an early age that anything was possible. With a love of innovation, he has owned more than a dozen businesses. He is an inventor, author, and philanthropist who is constantly looking to find better ways to improve the world around him. Luke started an optometry aid service in Vanuatu and has provided thousands of pairs of glasses to people who were devastated by Cyclone Pam. But allowing people to see wasn’t enough for this ambitious, go-getting Aussie. He is also a founding shareholder and board advisor to Nevhouse, a company that builds low-cost housing in third-world countries out of recycled plastic. Luke is a true believer that stress can be good for you if you learn how to utilise it. After completing an honours degree in physics, Mick Zeljko commenced work on a PhD in astrophysics but soon after realised that the sheltered life of academia wasn’t for him (yet). He left for the corporate life and spent the next twenty-five years building and enjoying a successful career across sectors including funds management, energy markets, resources, and climate change. He understands how big businesses work. Two decades into the corporate world only increased his fascination with who we are and how we work. He returned to the University of Queensland where he now teaches and is finishing up a PhD in cognitive psychology. Mick has a knack for seeing right to the heart of complex issues and a gift for communicating those insights in clear and simple terms. 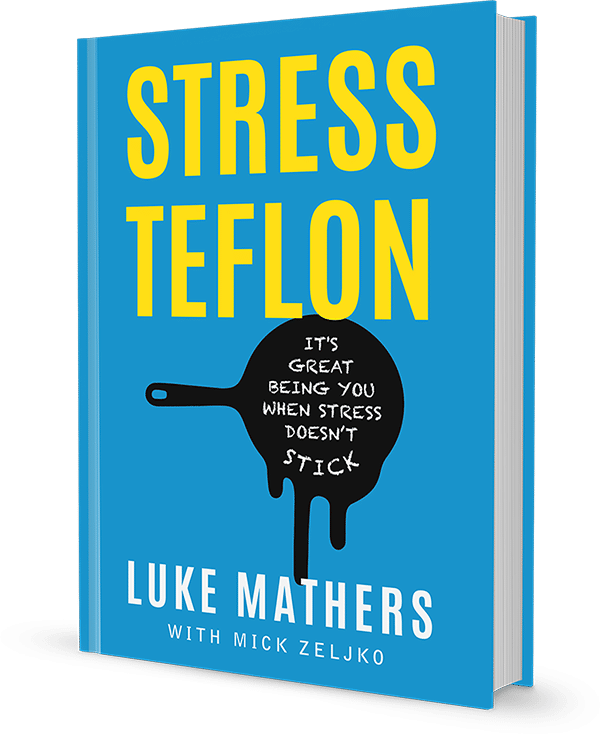 Together, Luke Mathers and Mick Zeljko have created a book that combines science, anecdotes, and insights into how stress operates. Their two different perspectives have combined to make STRESS TEFLON an easy-to-read book that will change the way we look at ourselves, help us utilise stress, and help us work out what’s important.